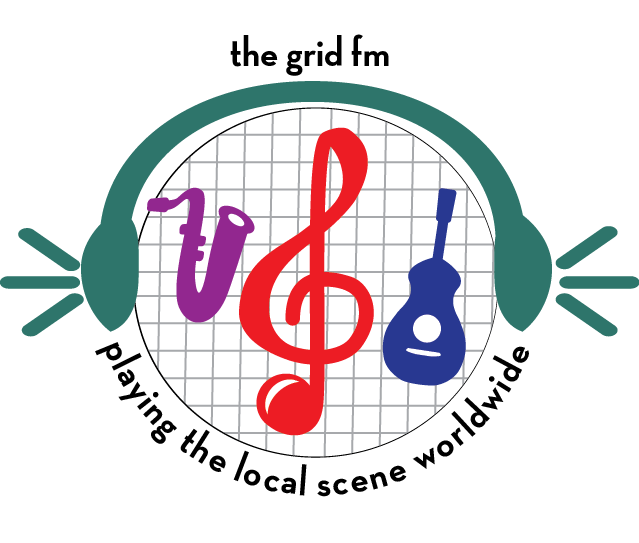 The Grid FM "The Little Radio Station that could!" FM 87.7 Midtown Sacramento: Playing the Local Scene Worldwide! You found Us! We're broadcasting from the heart of Midtown Sacramento and are the home of the Saturday Cruisin Show, Late Night Danny, The Big Fun Show, Global Beat and the Out of Site Radio Oldies Show! Tell your smart speaker to "play the grid fm on tunein"
Kevin Sheilds is a veteran radio personality and states "I grew up with a transistor radio in my pocket". He worked in college radio throughout the 70's and has a radio career extending 40 years. He produces his show, "Out of site Oldies" Saturdays 3 P.M.
Darragh Sean Ryan is a station operator and manages his own production firm, Dark Oak Productions. He has produced many of the short liners you hear on our station. 1. Media must be in either mp3 or ogg formats and of a good to excellent audio quality. 2. Submissions must be labeled artist and title. 3. if uploading more than one song, files must be in .zip format. 4. Finally, we reserve the right to reject submissions. 1. Provide a dropbox link. All times are pacific continental U.S.
12 a.m. DreamScapes - Enviornmentally peaceful ambient music and sounds to enhance your sleep and evening. 6 a.m. The Morning Mix - pop hits of the 70s, 80s and beyond give you the classic mixfm sound so popular in the 80s and 90s. 6 p.m. Global Beat (Live) with Ann Sylvia - Great world and jazz with pop thrown in. 9:00 P.M. Late Night Danny - Dan Kysor offers a cool mix of varied music genres plus radio dramas, skits, comedy and a relaxing style. Expect the unexpected on this show. 6:00 a.m. The Morning Mix - pop hits of the 70s, 80s and beyond give you the classic mixfm sound so popular in the 80s and 90s. 5 p.m. The Big Fun Show (Replay) with Dan Kysor - Dan features rare tracks, a vast 60 year collection of classic rock, vintage odd ball tunes, forgotten hits, great comedy and just plain good conversation and fun! 8 p.m. The Cruisin Show (Replay) Ann Sylvia - Music of the 60's, 70's 80's are featured here. Ann plays some very rare recordings. 10 P.M. Out of Site Oldies (Replay) with Kevin Shields presents a broad array of obscure and rare oldies covering several decades. This show is unlike any you will or have ever heard. 8 a.m. The Sounds of the 60's Playing over 10,000 in our 60s database, we will also focus on various year in that decade. 10 a.m. The Big Fun Show (Live) with Dan Kysor - Dan features rare tracks, a vast 60 year collection of classic rock, vintage odd ball tunes, forgotten hits, great comedy and just plain good conversation and fun! 1 p.m. The Saturday Cruisin Show (Live) with Ann Sylvia - Music of the 60's, 0's 80's are featured here. Ann plays some very rare recordings. 3 P.M. Out of Site Oldies with Kevin Shields presents a broad array of obscure and rare oldies covering several decades. This show is unlike any you will or have ever heard. 6 a.m. Midtown Sunrise A mix of cool and contemporary jazz, pop, light rock, world and new age to start your sunday morning. 9 a.m. The Sounds of the 60's Playing over 10,000 in our 60s database, we will also focus on various year in that decade. 1 p.m. Global Beat (Replay) with Ann Sylvia - Great world and jazz with pop thrown in. 4 p.m. Folk Salad - A mix of Americana, traditional folk, folk rock, pop folk, and classical folk. 6 p.m. Soul over the City Our random logGirhythmic formula insures that you always get a new variety of one of the most complete collections of rhythm and blues. You will truly be amazed! Attention DJ's: We are always looking for DJ's who want to broadcast their interesting show ideas. Because we are the little station that could, we could not pay DJ's at this point but our venue is good and you can even broadcast from the comfort of your own home. Send us your show ideas in one of the email links below and we'll get you on your way. We have a testing server and all DJ's will be auditioned. Email Ann Sylvia, Station Librarian. Follow DJ's and station happenings by subscribing here. ©2013, 2019 Dan Kysor & Ann Sylvia | Centova Cast v3.2.10 | Copyright 2006-2018, Centova Technologies Inc.